In August 2009 the ‘International Peace Information Service’ (IPIS) published a first map of militarised mining areas in Eastern DR Congo. By 2012, the international interest in the issue had grown but the map was out-dated. To find a structural solution, IPIS sat down with the Congolese mining cadastre (CAMI) and agreed to set up a permanent system to monitor artisanal mining activities and the involvement of armed groups in the mineral exploitation and trade. A first version of the resulting map has been published at: http://ipisresearch.be/mapping/webmapping. It shows the location of nearly 800 mining sites and 85 trading centres, including information about armed groups presence and involvement, and the scale of the mining activity. The map data and design will be updated in the following months. The map shows how gold mining is currently the most important subsector in Eastern DRC’s artisanal mining business. The collected data suggests that the number of miners active in gold mining is up to 4 times higher than that for tin, tantalum and tungsten combined. The current scale of artisanal gold mining has important consequences on the issue of armed group financing, especially because the DRC’s gold production is exported almost entirely unrecorded. The map includes at least 410 cases of illegal taxation by armed groups or the Congolese army. 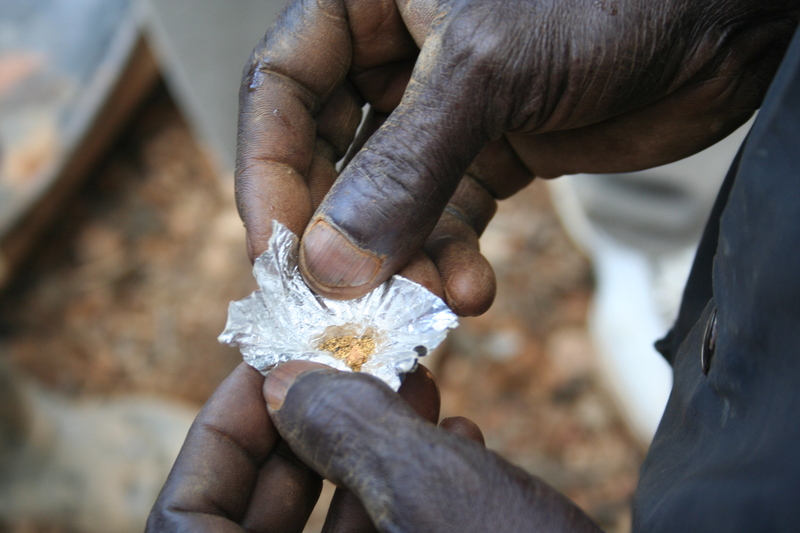 A formalisation of artisanal gold mining is urgently needed, including the identification of buyers who can be held accountable when their business dealings benefit armed groups. In addition, the replacement of illegal by state-controlled taxation would greatly benefit the Congolese treasury. Opportunities for responsible gold sourcing, under the supervision of the DRC civilian authorities, are present throughout Eastern DRC. Following the progress made in cleaning up the trading chain of tantalum (coltan) and tin (cassiterite), North Katanga is an obvious candidate. Maniema province qualifies as well, given the near absence of armed groups. In Ituri, only two militia groups remain and a large majority of the gold production is free from armed group interference. 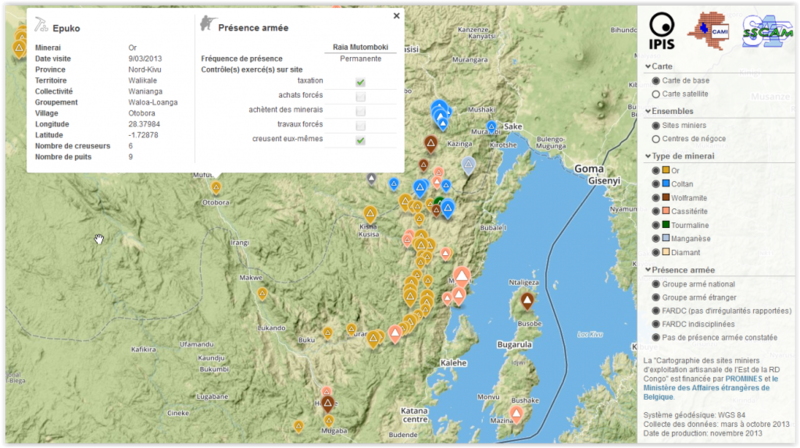 Most militia activity is concentrated in North and South Kivu. Armed groups such as the NDC and UPCP have a long history of extensive involvement in mining. Nevertheless, opportunities for responsible sourcing exist in areas such as northern Lubero and parts of Kalehe and Shabunda. An important additional challenge for establishing responsible trading chains is improving the discipline of the Congolese army deployed near mining areas. The map shows FARDC interference at at least 265 mining sites. Featuring in the reported cases of illegal taxation and other misbehaviour are units from the military justice, special commando units, units from the old brigade structure and units from the new regiment structure.